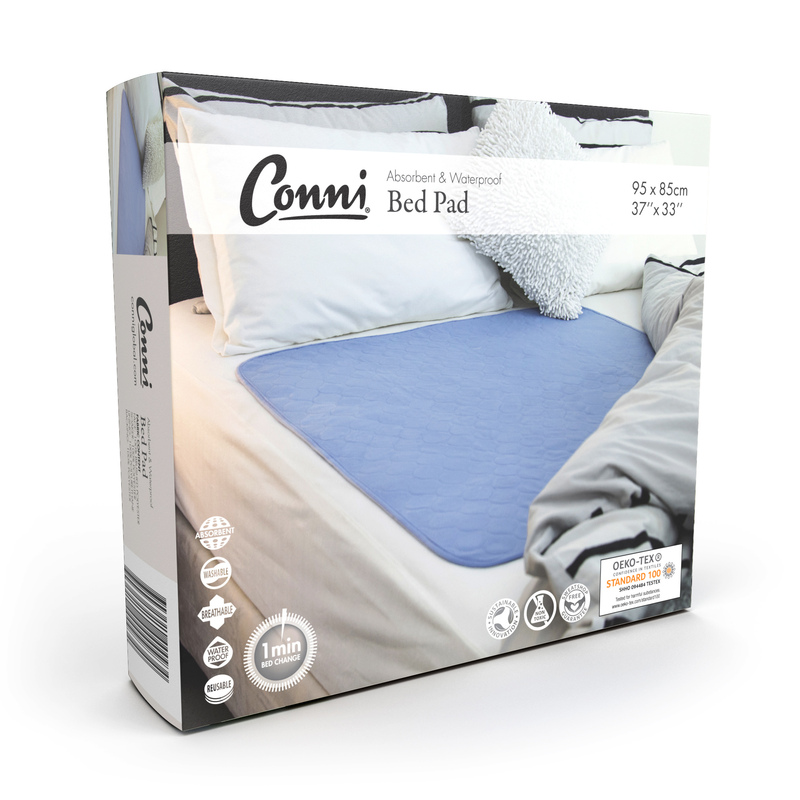 Conni absorbent and waterproof bed pads assist in the management of incontinence, bed wetting and excessive perspiration. 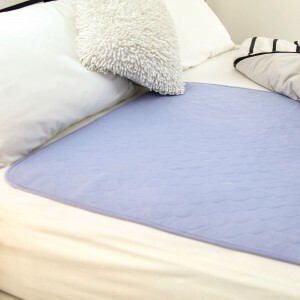 Rest well at night with the combined comfort and protection of a soft stay-dry top layer, slim absorbent core, and waterproof breathable backing. 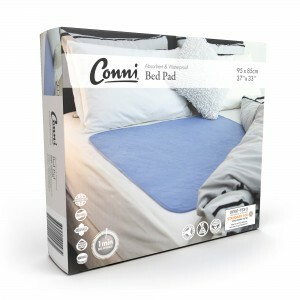 Lightweight and easy to use, machine washable and tumble dryer safe; Conni bed pads can be reused countless times. 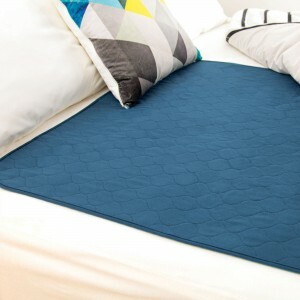 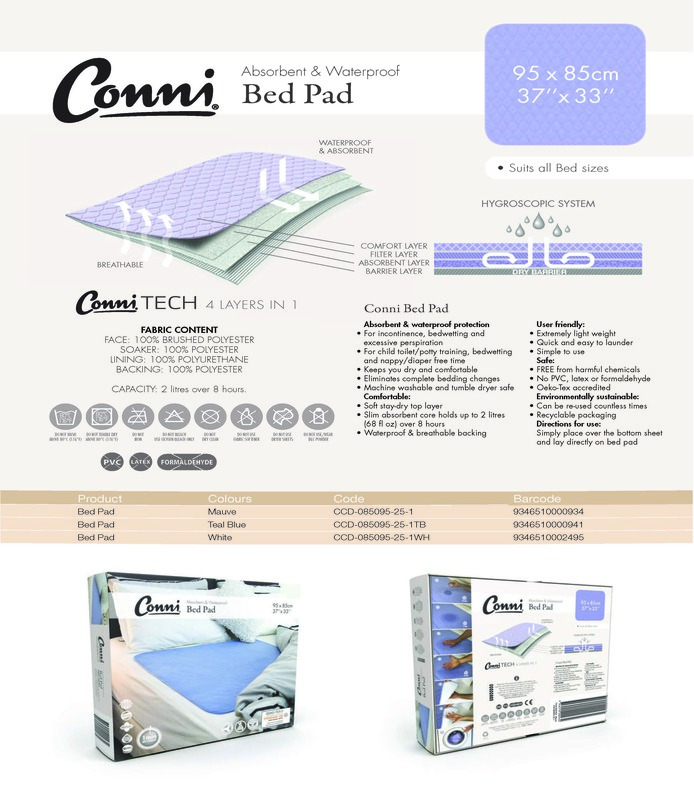 A cost-effective and environmentally sustainable alternative to disposable bed pads. 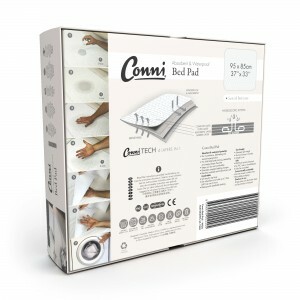 Conni Bed Pads are certified as being free from harmful materials. 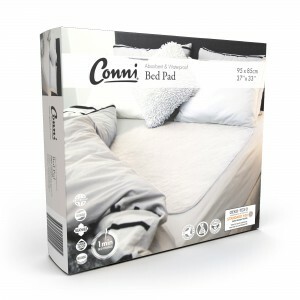 Conni absorbent and waterproof chair pads assist in the management of incon..
Micro-Plush waterproof pillow protectors are ideal for protecting your pill..